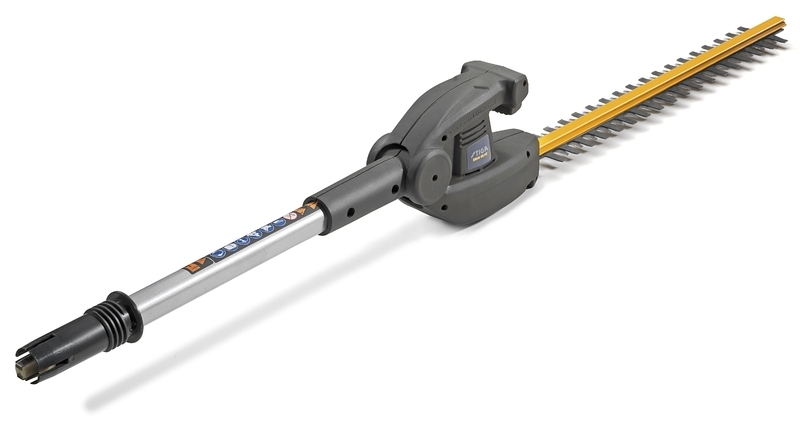 The STIGA SMT 48 AE is a hedge trimmer and pruner in one. This multifunctional gardening tool has a double cutting accessory, and is ideal for cutting and finishing hedges and pruning unwanted branches from trees and bushes. The multifunctional SMT 48 AE is powered by a 2.5 Ah lithium-ion battery (not included) and 48 V motor, and ensures a high level of user comfort. 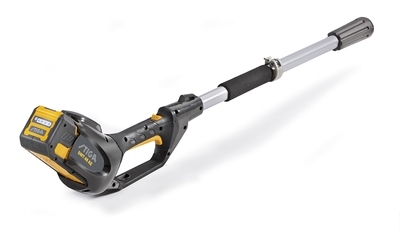 The hedge trimmer arm has a 46 cm laser-cut blade with a 90° rotating handle, while the pruning arm has a 20 cm bar. The practical 70 cm extension supplied makes it possible to easily reach even the highest branches.